It All Seemed So Simple... Two brothers and their friend stumble upon the wreckage of a plane -- the pilot is dead and his duffle bag contains four million dollars in cash. The men agree to hide, keep and share the fortune. 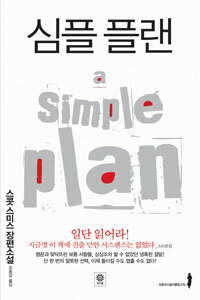 But what started off as a simple plan slowly devolves into a gruesome nightmare none of them can control. "Spectacular...10 shades blacker and grimmer than the novels of John Grisham...Do yourself a favor. Read this book." --ENTERTAINMENT WEEKLY. A+ rating.